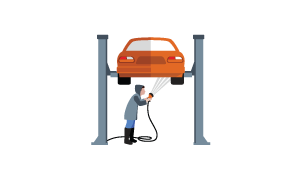 Don’t leave it to chance when buying, get a comprehensive report on the car you have in mind. Professional, safe and prompt service. Really convenient as he came to our place of business. Refreshing to see someone take so much pride in their work and their appearance. A prompt and courteous professional outfit. Impressive set up and well worth the fee. Finding tradies can be hard but these guys were great. 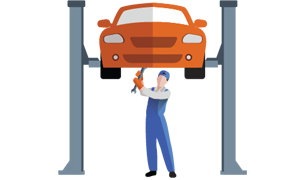 Do you need a mobile safety certificate or mobile roadworthy then call Dr Roadworthy today for immediate service. We cover much of the greater Brisbane area and specialise in quality mobile hassle free inspections. Covering all vehicles up to 4.5t GVM these include trailers, cars, 4×4’s, small trucks and motorcycles up to 660cc engine capacity and now we offer Uber inspections and COI inspections for heavy trailers and trucks. What it a safety certificate? A Safety Certificate is a certification set out by Qld Transport ensuring your vehicle meets the minimum requirements to be registered on Qld roads. 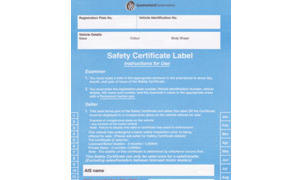 The Safety Certificate is required when a vehicle is unregistered, being sold, transferred between entities and should be obtained before selling a vehicle. To issue safety certificates the inspector has to be trade qualified and meet particular criteria so your assured of a high quality job. Our team is small yet boasts talented caring inspectors who make the process as easy as possible as they have been doing this for many years. Inspections take approx 45 minutes each. 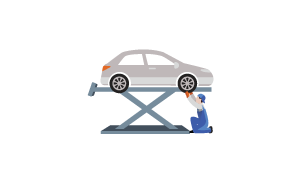 We come to you in daylight hours or you can arrange a workshop inspection by appointment that takes only 45 minutes. With portable eftpos facilities we also use the ICO or Inspection Certificates Online service so we can issue certificates on the spot. 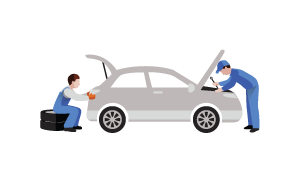 Everything is about convenience therefore trust all inspection requirements to us at Dr Roadworthy and let us manage the process for you. You have 14 days from the dated inspection to rectify all defects noted. Upon all defects being rectified please call to arrange a second inspection. All defects or repairs must comply with the Qld Transport Code of Practice. We recommend providing several days notice for requests to re inspect due to appointments already in the system. Your safety certificate or roadworthy is valid for up to 2,000 km’s or 2 months, which ever come first. Car Dealers certificates are valid for 3,000 km’s or 1 month or which ever comes first. If a car is being sold registered in Queensland it is by law to be sold with a safety certificate or roadworthy certificate. Unregistered cars may not require a certificate. Mobile Safety Certificates cost $95 for most areas and $130 for non metro or urgent inspections.